ATAR Notes and DriveAbout are giving you a free gift that will save lives – the world class road safety/road rule educational app (Android | Apple). ATAR Notes and DriveAbout are giving you a free gift for life that will save lives. DriveAbout is brilliant, it’s engaging and helps you really understand the road rules. 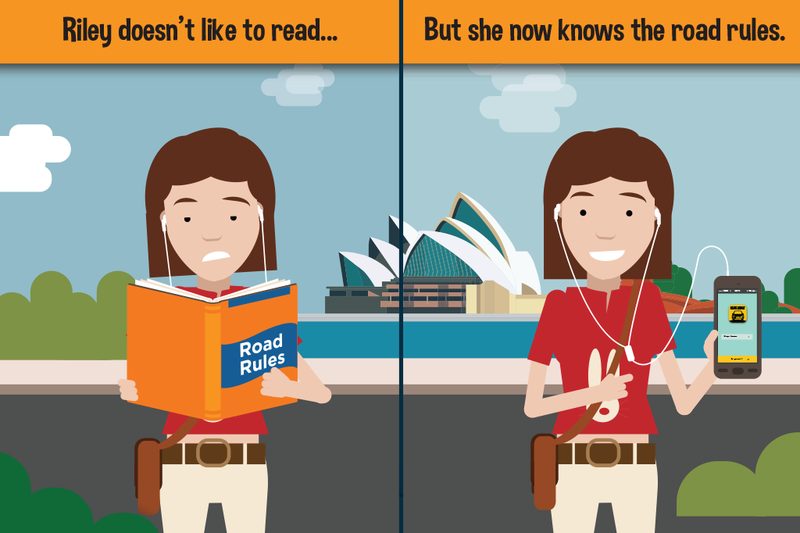 DriveAbout takes you on a learning journey from your familiar local roads, along the highway, to a small town or suburb, and into the city, introducing the rules, infrastructure and driving advice relevant to each section of the journey. In total, DriveAbout comprises 33 TV-quality animations teaching the competencies required to pass the Learner’s Test. We have incorporated the Learner’s test, so you can test your knowledge. Download DriveAbout app (Android | Apple). Free in App Store and 99c on Google Play (due to Google licencing).